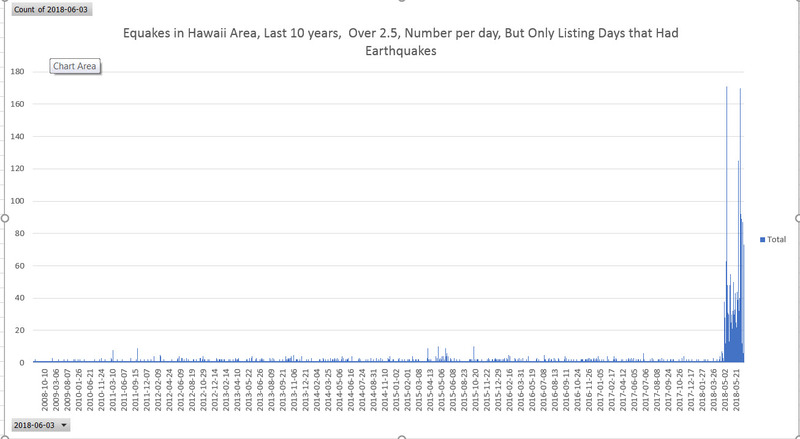 I haven't done it in a while, but you can download USGS Earthquake data in a CSV file (which is easily turned into an excel file), customoized by area, time, and EQ minimum size. The time data is hard to use, you need to parse the data field several times. 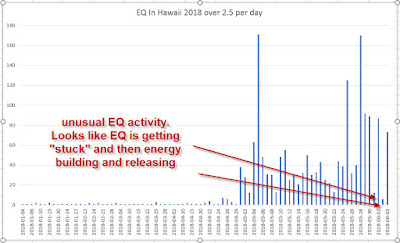 Then to get EQ per day, I use a Pivot Table to extract data. Awesome tool! 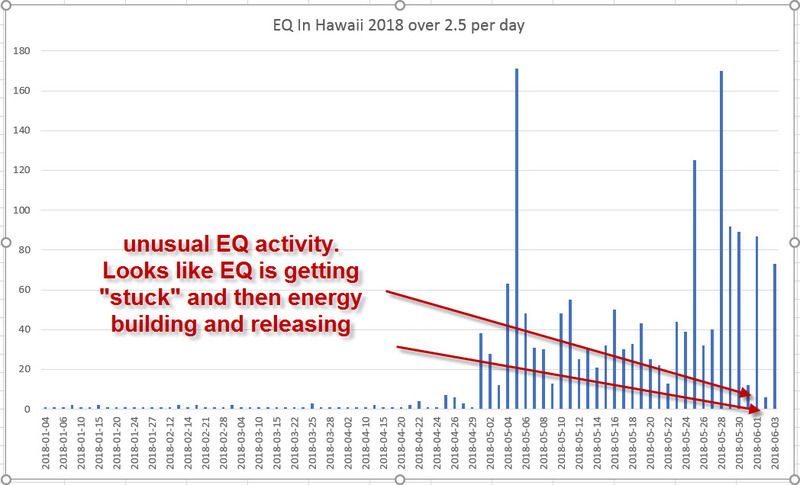 What is happening now in Hawaii is far far different than anything in the last 10 years. I should go back and review the 1955 and 1960 Mega Eruptions. 1840 would be awesome too, but the USGS was still fighting Indians at the time.